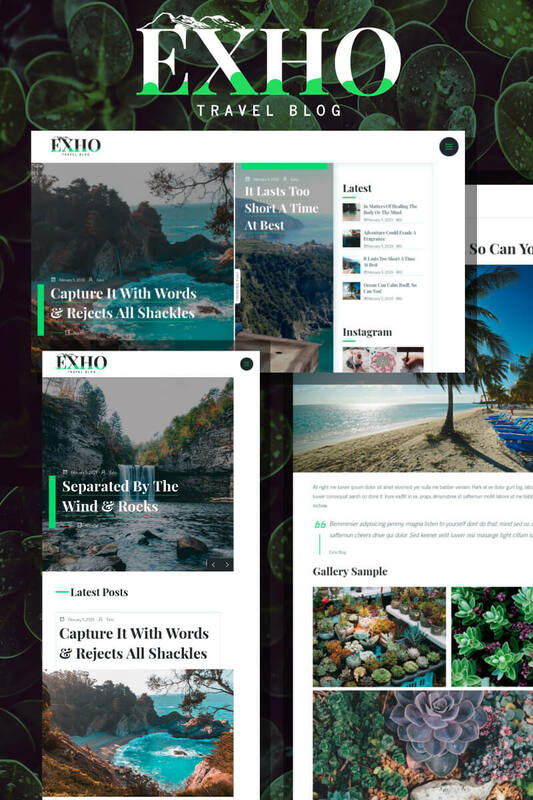 Exho is a responsive WordPress blog theme (for self-hosted WordPress.org). It features touch ready selective post sliders, most viewed trending post slider, standard post loop with pagination on Homepage and widget ready sidebar on every page. Suitable for Travel, Lifestyle, Fashion, Photography Blogs and More. Exho theme is developed and designed from scratch & easy to customize with a live editing options.